54 Sweet Love Messages for your Sweetheart – Printed on a Beautiful Valentine’s Day Card! You want to send him a message that tells him that he is the one for you? You want to tell her how much she means to you? You wonder how you must do it – you want to find out a way to reach out spontaneously…any time, all the time. You want to think about your sweetheart, when you are traveling in the metro, when you are standing on the bus-stand waiting for the bus, even when you are together. You wonder how they must’ve expressed their loved and wooed their sweethearts in the days gone by. In the days when there was no email or even mailmen to deliver your cards and flowers; and you wonder how it would’ve been if you had been a prince or a princess, and fallen in love. You wonder how it must feel to have a rival in love, and then to beat him or her. You have an iPad and you want to play a game of love that isn’t old wine in new bottle; and that is romantic to the core. You want to play a game that has been created by two gremlins in love – who have built every little detail of a game with a loving touch and a caring thought. 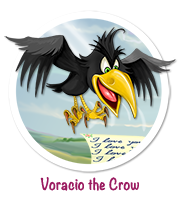 And yes, email 54 sweet love-messages printed on a beautiful card, to your sweetheart from within the game. May you find love, and if you’ve found it already may you keep it forever. 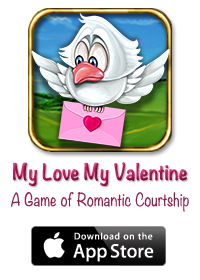 Blopty’s Love Story – How he ended up chewing your love-letters in the iPad Game “My Love My Valentine”? If there ever was a jumpy mouse, he was Blopty, or Blopty Scrabbins to be precise. Blopty’s friends knew about his jumpiness and made fun of him almost constantly. In fact, this was also the reason of Blopty’s apparently endless bachelorhood. It wasn’t that the girl mice didn’t find Blopty interesting; they did. He was handsome and suave, and he knew how to turn on his charms at will. So he had no dearth of girl mice swooning over him. To get a girl mouse starry-eyed, all he had to do was smile at her, and Blopty knew how to use his charismatic smile to his advantage. In fact, until about a few minutes ago, he was on a lovely date with the loveliest girl mouse in the whole world, or in the world that Blopty had known and traveled. He had been planning for this date for some time now. In fact, he had sent Nifty a lovely Valentine’s Day gift (an imported peanut wrapped in an expensive pink ribbon,) and a “Be My Valentine” card too, which played the My Valentine song by Paul McCartney, when opened. Just a couple of minutes ago, Blopty and Nifty were sitting at the corner-table of this restaurant. It being Valentine’s Day, the place was filled with couples of all ages, and Martina Mcbride’s “My Love My Valentine” was playing ever-so-softly in the background. 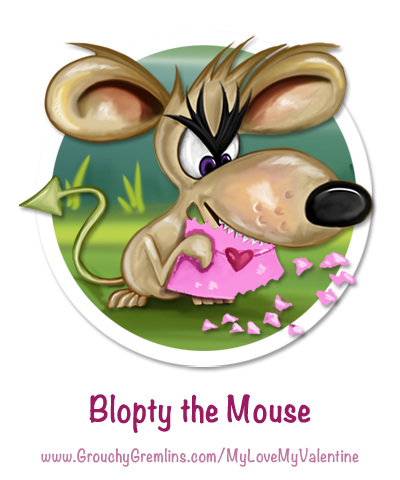 Blopty was telling Nifty about his swamp-adventures in a funny nasal voice that the girl mice found extremely funny. Nifty did too and so their date was going mighty fine, until…someone tapped, and Blopty jumped! “Oooooiiiieeeeeeeeeeeeee……….,” he went, as he got tossed up in the sky, somersaulted twice, and landed in the bushes about 10 yards from where they were enjoying their candlelit dinner. He brushed himself off and picked himself up, and sheepishly parted the bushes to check Nifty’s expression. She looked flabbergasted! She looked shocked! And she also looked…disappointed. That look hurt Blopty’s feelings. He really was in love with Nifty. He had seen that look before, but seeing it on Nifty’s beautiful face broke his heart. He had dreamed about this day ever since he moved in the new neighborhood, and he really truly wanted to spend his life with Nifty. He had often dreamed of the little mouse-pups who’d be running around in his pad (or Nifty’s if they moved into hers, and which was obviously better furnished)…but he knew that the one trait that a girl mice treasured in her guy over all others, was courage. And he had just demonstrated how seriously he lacked this trait! “Ooooooiiiiieeeeeeeeeeeeeeeeee………..,” Blopty jumped again and landed on a pile of stones. He lost consciousness for a minute or two but when he came around, he saw himself looking into a pair of huge, yellow eyes! “An owl!” he screamed voicelessly. It was Gordie or Grouchy Gordon, the owl who lived in the Grouchy Gremlins Workshop! Blopty who lived in the make-shift kitchen in this workshop, always thought that he had been able to keep his presence in the Workshop a secret, but right now, it appeared that Blopty was mistaken. “You are in love with Nifty?” the ancient owl asked in his gruff voice. “Oh, and what is that?” asked Blopty. It appeared that the owl wasn’t here to eat him. And then Gordie told him about the offer. Blopty had to shred the love letters that some poor lovelorn human has written and sealed with a kiss. 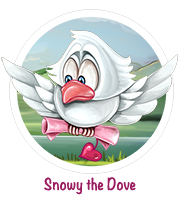 He had to accomplish the task by getting to those envelopes before they were handed over to Snowy the trusty courier dove. Blopty would be paid a golden coin for every envelope that he shredded. Blopty took the offer and he was recruited as one of the agents of your rival, in the game of romantic courtship, My Love My Valentine. 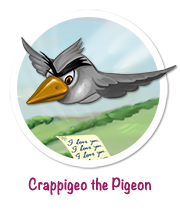 You can save your messages from being shredded by him by tapping him whenever he appears, because that makes him go, “Oooooooiiiiieeeeeeeeeeeeeeeeee………,” but then who cares, especially as Nifty can’t see him there. Final Note: Some of you might be wondering how vain I, Nifty, the writer of this story must be. But I am really pretty! 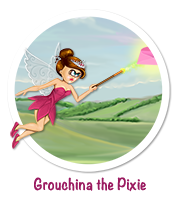 If you don’t believe me check out my picture on my blog, or meet me in the Backroom of Hypnotoy, the Toy of Joy, another beautiful app by Grouchy Gremlins.